I don’t have cancer but cancer has always been a part of my life. My Grandfather died of cancer when my Father was a young man. My Grandmother died of cancer when I was in my early twenties; she was only in her sixties. She was soon followed by my Father. He never made it to 40. That is how old I am now. All my father’s side died young, and from cancer. My mother has had skin cancer and my step father prostate cancer. When my father died I was left numb. I did not feel any grief until a friend and co-work, who at 36 died of breast cancer. Now one of my clients, who I like very much, is under a breast cancer scare. She does not know yet, and is waiting on the test results. Myself I have had two breast cancer scares, once in my twenties and another last year. My father in law was diagnosed with terminal cancer three years ago. So far he has beaten the odds. We are not expecting that to last much longer. My husband’s grandmother passed, and his father seems to be following her. He was hospitalized last week and no one expects him to leave this time. Though, he has surprised us all several times already. There is always hope. I worry about my children. They come from two family affected by cancer. What hope do I have that they will not be reached by cancer? It has already taken so much away from them in terms of family alone. I hope it never actually gets hold of them, me or my husband. At times I comfort myself with the thought that they all died because they smoked. 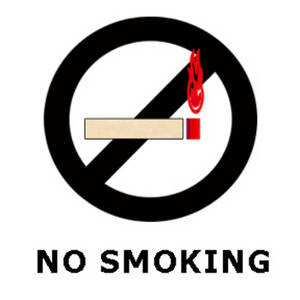 However that does not guaranty that they got cancer because they smoked. I don’t smoke and I am trying to condition my children so that they will not smoke. Until tonight I never realized how much cancer has affected my life and how much it is a part of my life.